And so on. Given the German propensity for repurposing captured vehicles during WWII there may be a slight bias here but hopefully people will dig up some new oddballs. Can be any scale, air, sea or land, can be a fully released kit or a scratch built conversion, any era, there would just have to be photographic evidence of its existence. I'm thinking a fall 2018 start, any takers? Hobart's Funnies were quite numerous - Churchill Crocodile, Sherman Flail, Churchill AVRE in its various forms, etc. Similarly 'Rommel's Funnies' were numerous, 9 Sdkfz 6/3 'Diana', 12 Sig 33B (aka Bison II on panzer 2 chassis), over 20 15 cm s.F.H.13 on Lorraine- Schlepper, etc, with many more of the latter vehicles built than was sent to the WD. I have a selection of vehicles that would fit the bill here if not limited to the one off, and depending on time frames I would be interested in joining. I don't think we need to limit it to one-offs, although that will add a certain cachet lol. So something like the Dicker Max or Sturer Emil would qualify? Colin is the lead so he gets the final say, but the DM and SE were designed and built from the ground up. I think Colin's intent here is best described as take something and bolt it on something else that was not really designed for it. So add a flame thrower and fuel trailer from the Churchill, to an M4 Sherman and make one of 4 given to the US army to use. Maybe even conversions like the British Archer and Bishop and German use of French tanks chassis and so on. You nailed it Peter, I am not always the most eloquent lol. I would be interested, if time permits and I don't "burn" myself on the campaigns I have already joined. Lost, captured, rebuilt, reused, lost, captured & reused again ... can it get more convoluted? It's like modern marriages:"Honey, hurry, your kids and my kids are beating our kids!" Hmmm...a quad Flak on a T-34 chassis comes to mind. How about the Panther turret on Pz IV? 5cm gun on Panther turret? or a Panther / Pz IV with a dozer blade? Yes, the Su76i and flak T-34 would be suitable, suppose the Panther/PzIV hybrids would qualify as well. Thanks Colin. Late in the year seems ok, so am in for this. Just about halfway there, let's get some love for the oddball stuff out there! Some of Saddams weird creations maybe? Some of Saddams weird creations maybe? That's what too much time in the middle of the desert will do to ya! I'd probably would be in. I just finished a BMP-1 with a Duster turret. Something like this is up my alley. Are "reasonable" what-ifs allowed? And can we use a finished or partially finished kit as the basis of a conversion? Hi Alex, I would prefer that it is something that has been built, even if only a one-off, but with photographic reference. I will allow partially started kits, as long as not more than 50% complete. 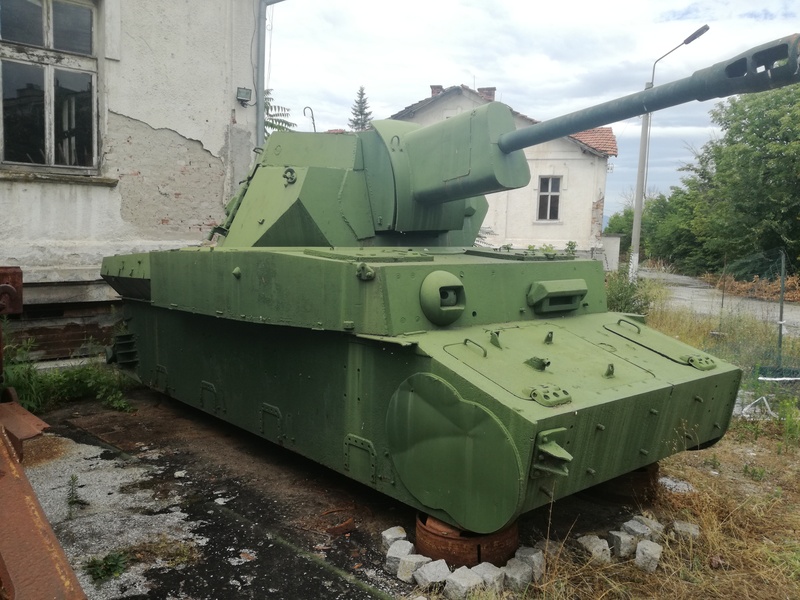 It is a PzKpfw.IV Ausf G frame with a Zis-3 gun(Su-76 version), mounted in Ausf.J turret(Bulgarian conversion from late 1940/early 1950's, when Krali Marko Defensive Line was build on the southern border with Greece and Turkey). 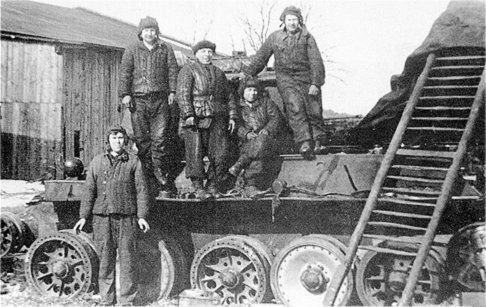 Would the PzKpfw.IV Ausf G frame with a Zis-3 gun(Su-76 version) qualify for the Scratchbuilding campaign? Why not?As I see it- a liberal amount of scratchbuilding will be required to cope with turret conversion. If you are willing to take the challenge-PM me, I can send you some photos. Angel, a very cool find! Yes, that would definitely qualify! In that case-count me in. Name of the project: Krali Marko Defense Line Pillbox. I think it will suit "Funnies" better. I have enough shelf queens and planned scratch builds for the other Campaign.